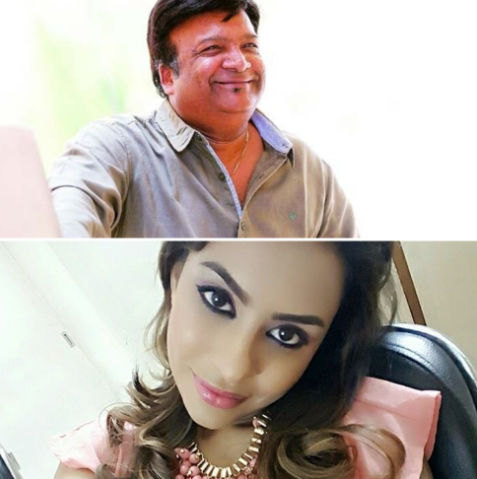 Upcoming actor Sri Reddy has been in the news of late because of all the wrong reasons. To begin with, a few days ago, she stripped in public and accused producers of ‘exploiting’ local girls and then not giving them any work. Thereafter, she levelled some serious charges against noted writer Kona Venkat and leaked her chat with him. Now, Kona Venkat has responded to these claims and termed them ‘baseless’. He has also made it clear that he will be taking legal action against the lady. “I’m shocked with some allegations made by one actress against some film personalities including me… I demand the government to conduct through police investigation in these allegations and punish whoever are guilty.. Truth must prevail. legal action follows! !” he tweeted. Kona Venkat has also rubbished her claims of Telugu producers not supporting local girls and said that he has always tried to help newcomers. “It’s really pity that film industry and film personalities have become soft target to many people who are trying to gain cheap publicity… I definitely support taking Telugu artists in our films.. In Geethanjali u find only Telugu artists. But this is unacceptable. I condemn it,” Tweeted the writer. This controversy is getting murkier with each passing day and it remains to be seen whether there are some new developments in the future. Mr.Venkat, you know what you have done. Pack up. You look disgusting inside out. Kudos to Sri Reddy for standing up against these goons….Telugu Industry needs to WAKE UP…..Y are only North Indians preferred and Locals IGNORED….Have you ever seen this in Punjabi industry ? South indians are not preferred which is fine,…..Too much emphasis on WHite-skin in India….Speaks volume about their mentality…..